We often think of impairment as a result of substance use or an addiction or dependence to alcohol or drugs, whether legal or illegal. However, impairment can be the result of any number of issues, from fatigue to medical conditions, to traumatic shock and life events. 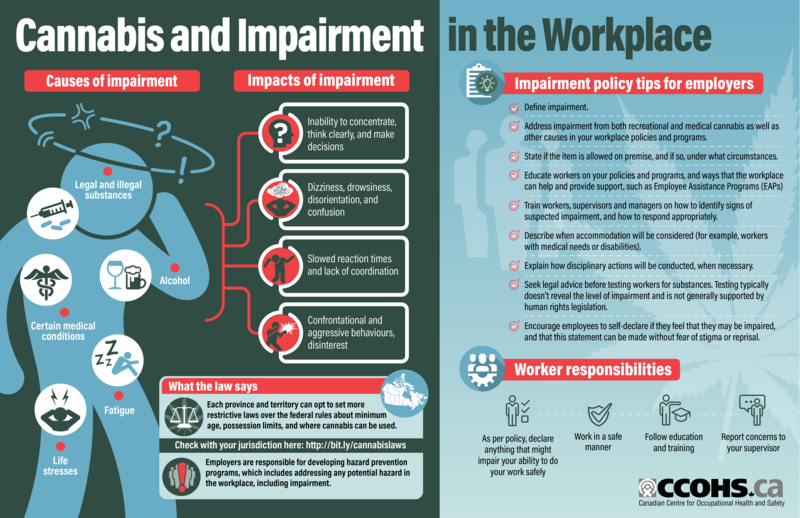 Regardless of the source, impairment at work can affect our ability to do our jobs safely. The legalization of recreational cannabis in Canada on October 17, 2018, has heightened the focus on issues regarding impairment in the workplace. 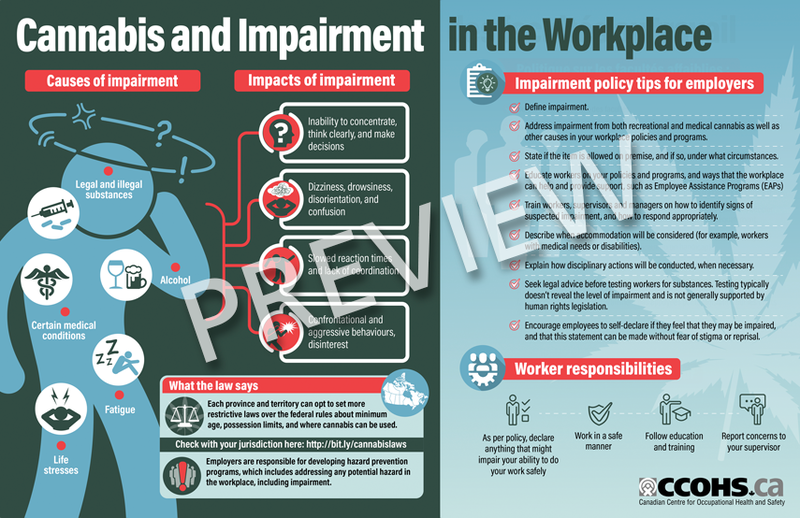 This infographic outlines its effects, what employers and workers need to know, and the key elements of an impairment policy.